In order to offset their fee of dental care, many dental patients make an attempt to invest in employment based dental insurance. In the 1950’s, several advanced in the dental technology widened the scope of “general dentistry” significantly since the inception of dental insurance. Today, with skyrocketing tooth implant costs in Melbourne, there are hundreds of different dental insurance plans are available to provide good benefits for patients opting for implant surgery. Having a private dental insurance plan is considered to be the best option to deal with unexpected dental costs. With so many dental insurance providers in the market, it’s hard to decide on whom to select as your provider of choice and the type of plan. 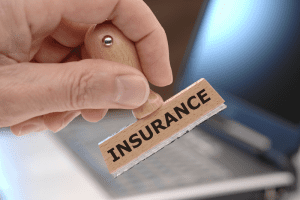 Here are a few factors to consider while choosing a dental insurance cover. If you are young and in a good shape, opt for a general dental insurance cover and older couples can consider major dental that covers all possibilities including orthodontics/braces, wisdom teeth removal and dentures. In certain cases, senior citizens may have an enviable dental health while young adults may have severe dental issues. So, based on individual dental health history, the choice of dental health insurance may vary. People who already hold employer sponsored “gold standard” health care plan and individuals with high-income bracket may not find extra coverage overly beneficial. Most dental health insurance plan sets an annual limit for each of the “extras”, while others may not have limits for certain extra coverage. The higher the limit the more you will be benefited. Waiting period determines how long your fund expects you to wait before any type of dental procedure is performed. For general and preventative dental treatments the waiting period is 2 months and for complex dental procedures like high cost dental implants in Melbourne, it’s 12 months. Some of the insurance providers offer “NO GAP” provisions to their members in which members have no out of pocket payment to incur when they visit their dentist for procedures such as check-ups, removal of plaque, cleaning, x-rays and other routine treatments. So, if you are about to opt for a dental insurance plan check for one that suits your needs and budget. Also, remember being covered by an appropriate dental health insurance plan will help relieve the stress of having to deal with unexpected dental costs.